Online ordering menu for Saffron Cafe. 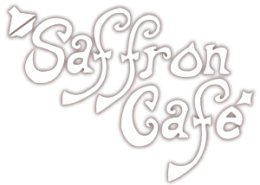 Saffron Cafe serves authentic Moroccan cuisine in Indianapolis, Indiana. A few signature entrees on our menu includes Moroccan Seafood Paella, Ahi Tuna with Charmoula, and Chicken Marsala. We also serve pasta, soups, and sandwiches. We're located near the corner of I-65 and I-70 by American Legion Mall. We're also near Old National Centre and the Indiana World War Memorial. Order online for carryout!